Why choose ICE as your Gap Course provider? Why choose ICE as your course provider? There are many providers who run Gap ski and snowboard instructor courses, however when you book a course with ICE, you book a course with the people who actually do the training and assessing. ICE is run by Instructors for Instructors. Below are just a few of the reasons to choose ICE over some of the other tour operators who run similar courses. Our accommodation is at the foot of the slopes. Location, location, location, ski in/ski out accommodation at the foot of the piste. Everyone stays in the same apartment block, so your friends you make in the course will all be nearby not dotted around the village like other tour operators. All apartments have their own ski locker and a balcony with a view to die for. The apartments are small, but let's face it location is key! At our office we have a member of staff who is there everyday to help with any issues that crop up from day to day. In addition the directors of the company, who are based in town, and can be called at any time of the day or night. The quality of food is excellent, with a real variety of menus throughout the course, and local specialities every week. With many of the other operators you have to pay extra for BASI course fees, first aid courses etc. On the ICE course, you only need money for après ski and lunch. Everything else is provided for. 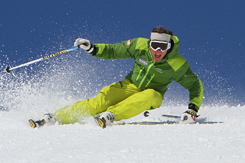 We have an office based in Killy Sport, the most prestigious ski/snowboarding shop in resort. Within our shop, we have real specialists in their field who can help in every aspect of equipment and set up. Bonne Sante - Louise and her team have been based in Val d'Isère for many years and are one of the UK's leading physios in snowsports. 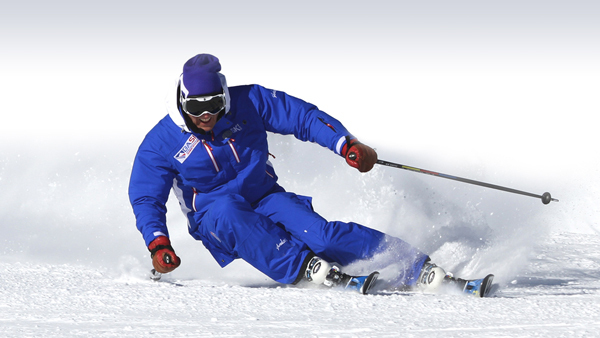 All of the training you receive on the course is by our team of skiers, who are all trainers and assessors for BASI. This means that the people who train you, are also the team that deliver the BASI certification. 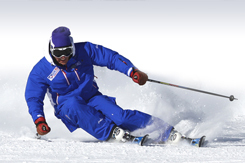 They are trainers for BASI because of their expertise, skiing skills and experience. You will get world class training. The training you get is coming straight from BASI Trainers, rather than ski instructors who are contracted in from a school. 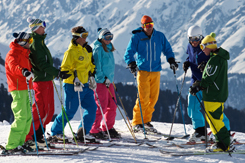 With gap tour operators (which is every other ski gap provider) they simply buy in services from other organisations, and then bring them together to make an overall package, without having any experience or expertise of people who are actually in resort managing the course. 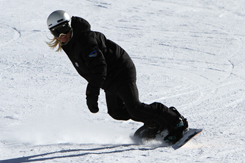 ICE has been established for over 12 years and during that time has qualified thousands of ski and snowboard instructors. When you book a residential course with ICE, you are booking on the biggest course of its kind with a wide range of ages and nationalities, so you are guaranteed to make friends. Large numbers on the courses also gives us the flexibility to put you in a group of your level, so you will never be slowed down or struggle to keep up. Furthermore, following your course, we can offer you the best contacts for job prospects around the globe through the ICE network within the ski industry. See our employment section for more details. Rather than being representatives who are just there for the season. ICE is owned and managed by three people (Mark Jones, Rupert Tildesley, Dave Cowell) We have all been based in Val d'Isère for the last fifteen years working as ski instructors and are partners in Mountain Masters, a specialist ski and snowboard school. If there are any problems while you are on the course, it really matters to us that we resolve them effectively.